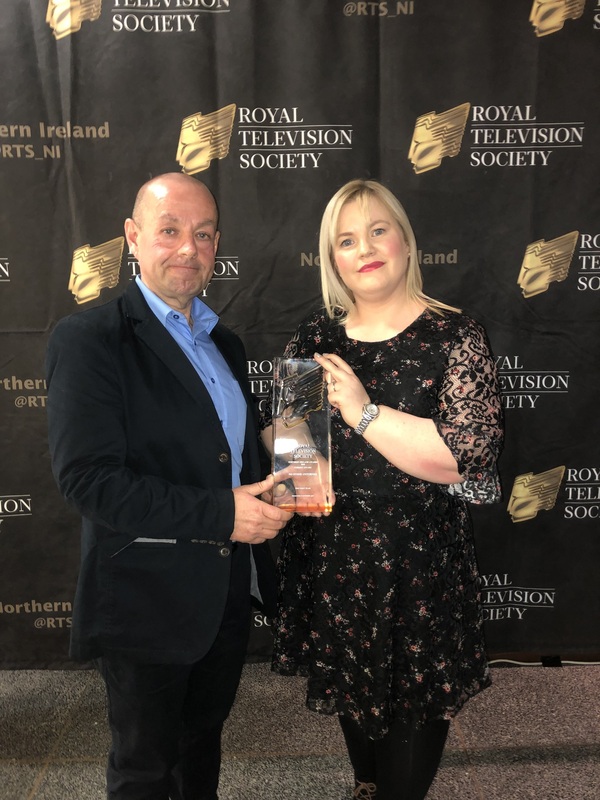 The film, which examined claims of state collusion in the Loughinisland massacre in 1994, won the Current Affairs category at the RTS Northern Ireland Programme Awards in Belfast tonight. The award was accepted on behalf of Fine Point Films by Emma Rogan, daughter of Adrian Rogan - one of the six men killed in the loyalist gun attack on the Heights Bar. She said that the documentary told the story of the Loughinisland families "sensitively and eloquently". Another film by Fine Point Films, 66 Days, won the Documentary category. And in a third win for the company tonight, Rocky Ros Muc by our colleagues in Below the Radar was the winner in the Original Music Score category. The Loughinisland families are still seeking justice 24 years after their loved ones were murdered. The victims’ names are: Adrian Rogan (34), Malcolm Jenkinson (52), Barney Green (87), Daniel McCreanor (59), Patrick O’Hare (35) and Eamon Byrne (39). On August 31st, our award-winning and respected journalists Trevor Birney and Barry McCaffrey were arrested and held at a Belfast police station in connection with the film. Their lawyers are now seeking to have the arrests declared illegal. Trevor and Barry were released without charge but are due to attend for further police questioning on November 30th. On the same day as the arrests, PSNI and Durham Constabulary police officers raided the city centre offices of Fine Point Films, Below The Radar and The Detail and left 13 hours later after searching through every desk and cupboard. The Durham Constabulary-led investigation is into the suspected theft of confidential documents from the Police Ombudsman’s office. These are allegations our colleagues robustly deny. In a major twist last week, the Police Ombudsman insisted that his office did not make a complaint of theft to the PSNI. The statement from Dr Michael Maguire strongly contradicts the claim from Durham Constabulary that a formal complaint was made that documents had been stolen from his offices. Speaking at the award ceremony at The Mac in Belfast, Emma Rogan said: “Trevor Birney cannot be here tonight. 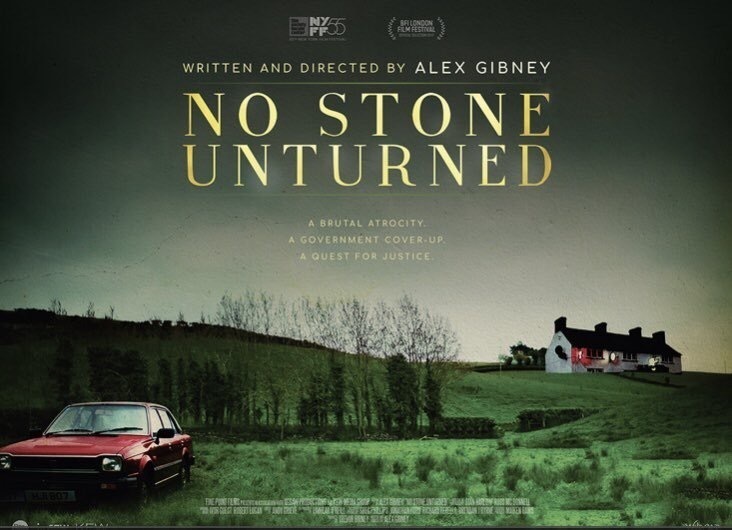 He is at the Cork Film Festival speaking about No Stone Unturned. I’m honoured to accept this award on behalf of Trevor, Barry and Fine Point Films. “For the Loughinisland families, No Stone Unturned told our story for the first time. It was told sensitively and eloquently. “It’s also about the determination of two journalists to tell the world the truth about what happened to our loved ones. It wasn’t an easy film for them or the families. But they stood by us and we are very proud of them and the film. “Their determination didn’t lead to the arrest of those responsible for the death of my father. Instead it led to police arresting Barry and Trevor. They spoke truth to power and paid the price. Fine Point Films’ 66 Days, which won the RTS Documentary category, was directed by Brendan Byrne and produced by Trevor Birney. The major feature length documentary explores Bobby Sands’ 66-day hunger strike and death in 1981. Below the Radar was the winner in the Original Music Score category for the film Rocky Ros Muc. Directed by Michael Fanning, it tells the story of the career of boxer Sean Mannion from Galway and his emigration to America. The composer for the film was Andrew Simon McAllister.